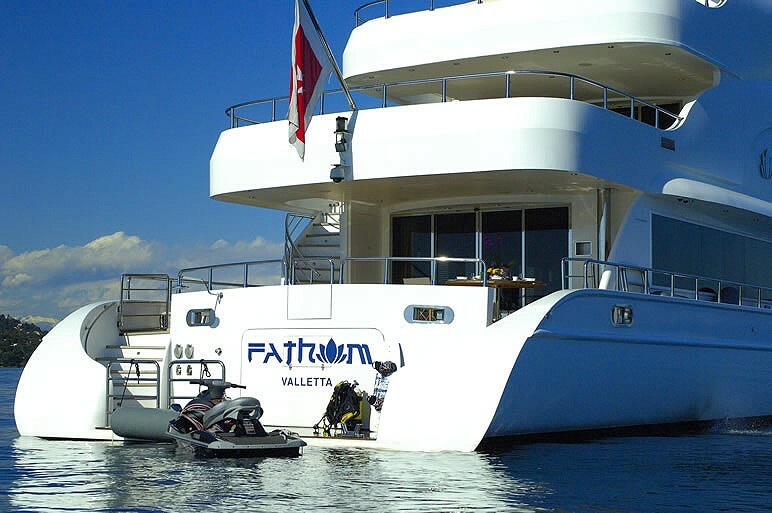 Luxury Motor yacht Fathom is a stunning super yacht built in 2007 by Sea Dreams in Turkey. 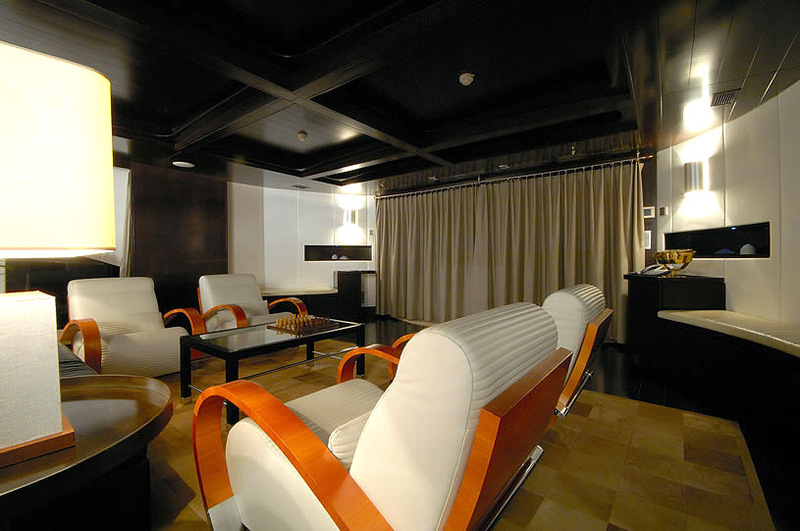 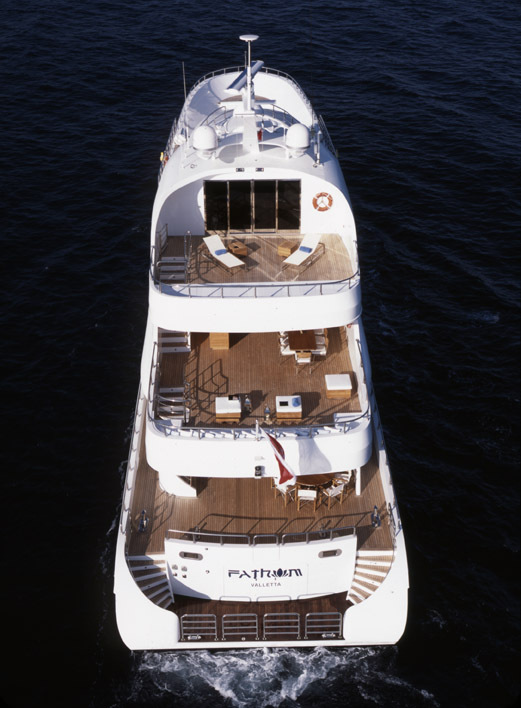 FATHOM's interior was designed by New York based Zeff Designs. 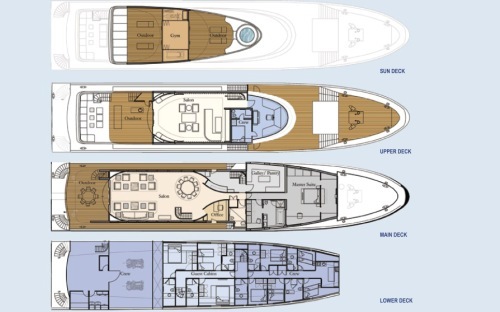 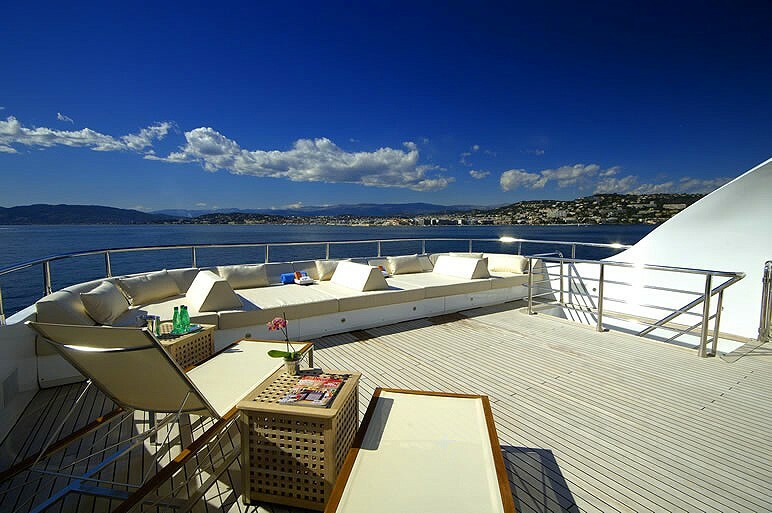 She can accommodate 8 guests in a total of 4 cabins including 3 double cabins and 1 twin cabin. 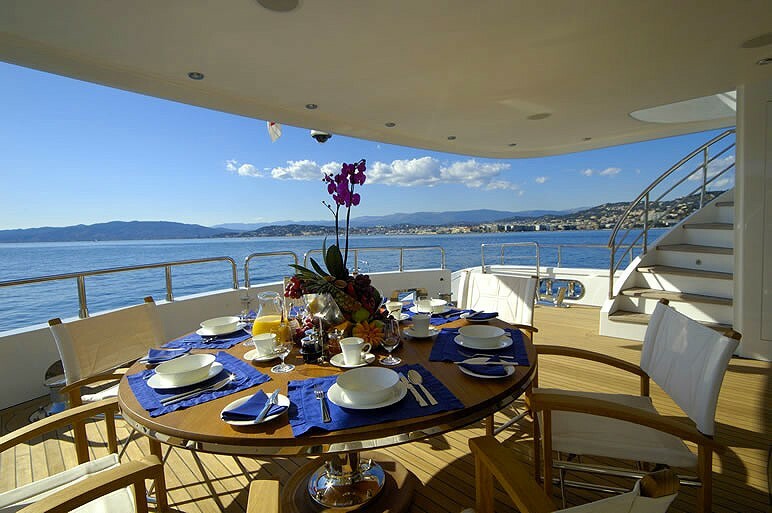 Manufactured by Sea Dreams, this Dream Voyager 45 model motor-yacht has been customized with stunning interiors by Mark Zeff of Zeff Design—the visionary New York agency behind luxury boutique hotels and exclusive homes throughout the world. 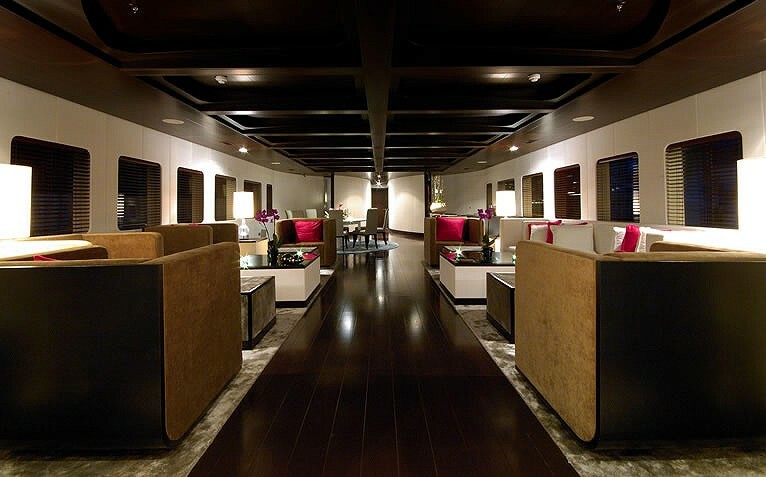 Luxury motor yacht Fathom’s interior is one of quiet opulence. 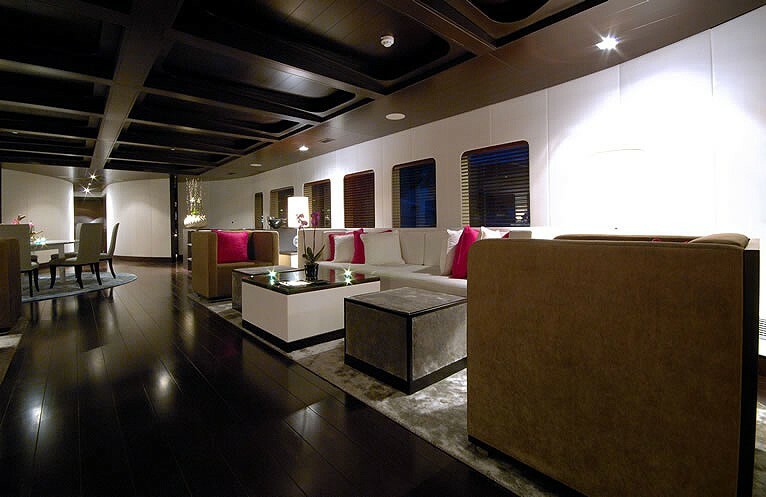 The main saloon, with a rich wood finish, hand-knotted silk carpets, exquisite seating finished with the softest leather and silks creates the feel of a luxuriously appointed home. 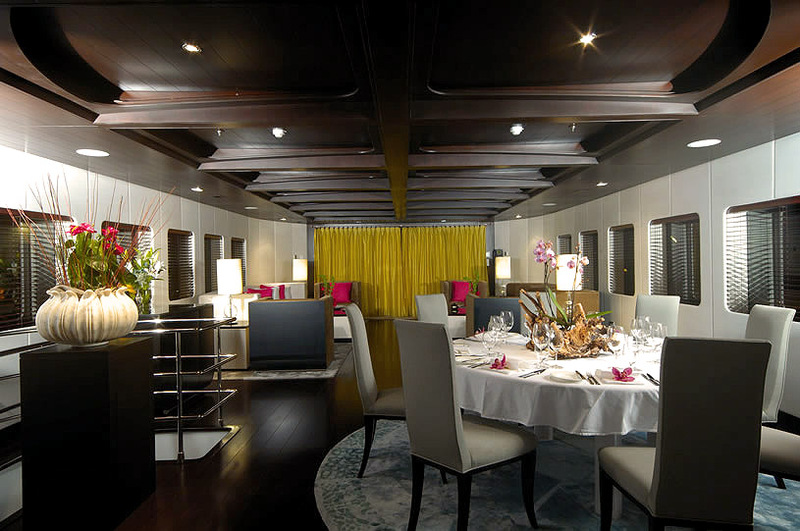 The formal dinning room is appointed with a marble-topped table with room for 10 guests to enjoy meals prepared in the restaurant-grade galley with large butler’s pantry. 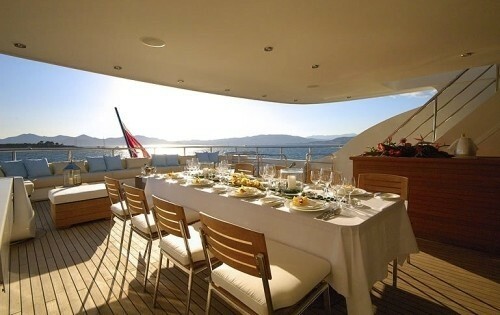 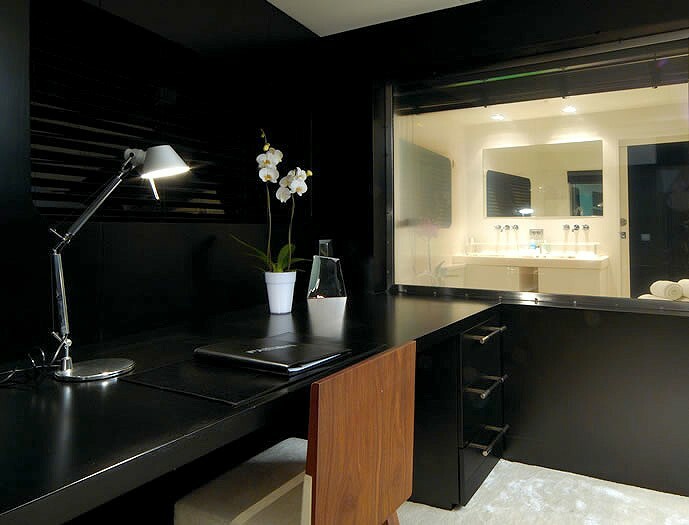 Also on the main deck is a fully equipped private office. 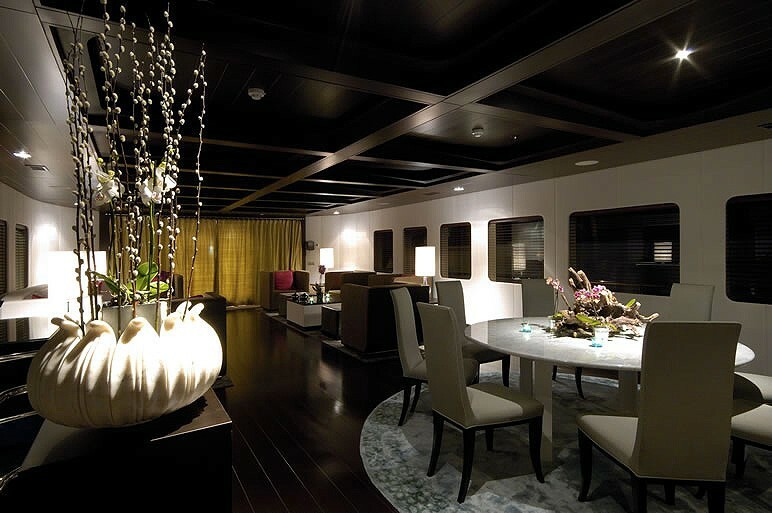 The upper deck saloon is fitted with hand-stitched cowhide rugs, and an array of nautical antiques in mahogany cabinets to give a chic lounge like vibe. 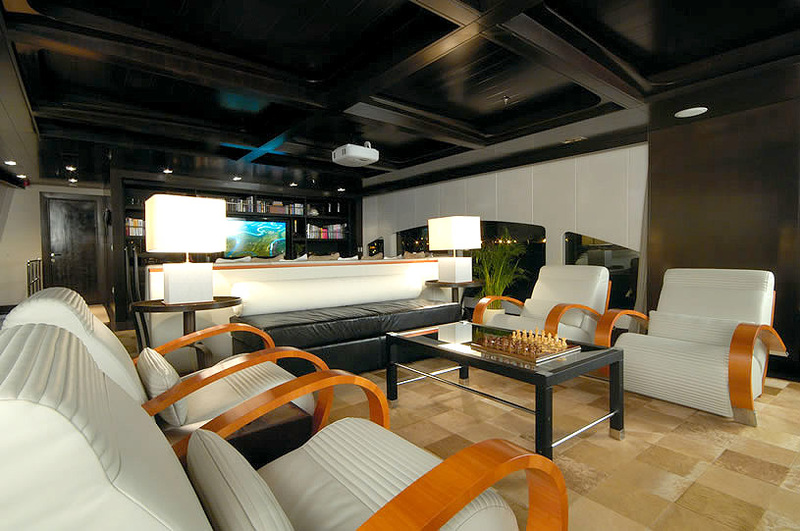 From the comfort of the white soft leather lounger or deep club chairs, enjoy your choice of films selected from Fathom’s comprehensive on-demand video system which can be viewed from the motorized roll down projection screen with surround-sound audio and state-of-the-art, high-definition video equipment. 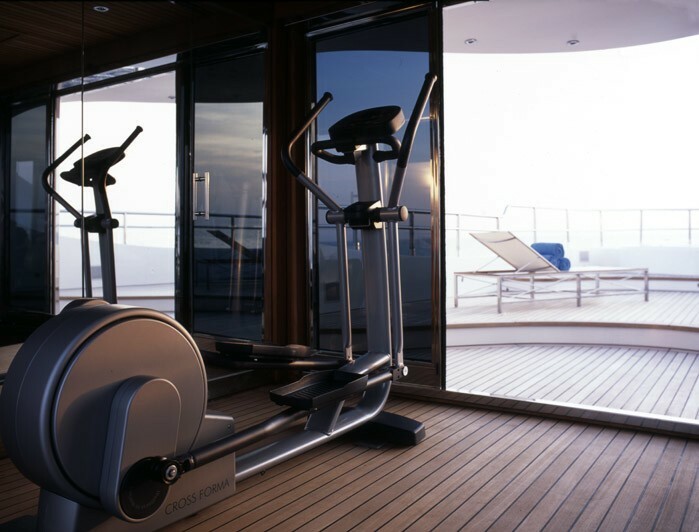 On the fly bridge Fathom boasts an air-conditioned gym, with a Spazioforma treadmill, Crossforma professional cross-training machine, yoga mats, and free weights that can be hidden behind folding mirrored doors. 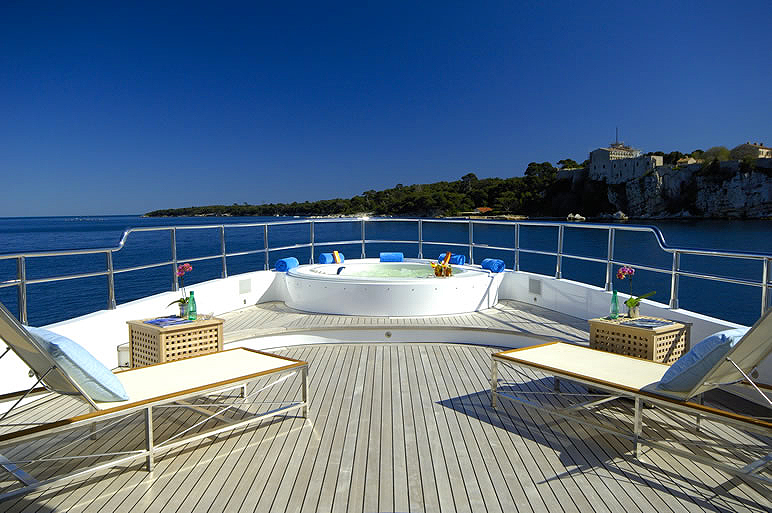 Outside and adjacent to the gym is an 5-person hot tub perfect for relaxing after a hard work out or simply enjoying the endless panoramic beauty. 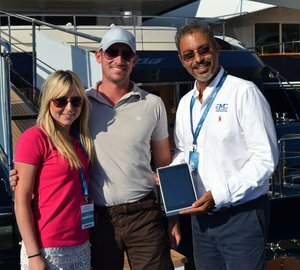 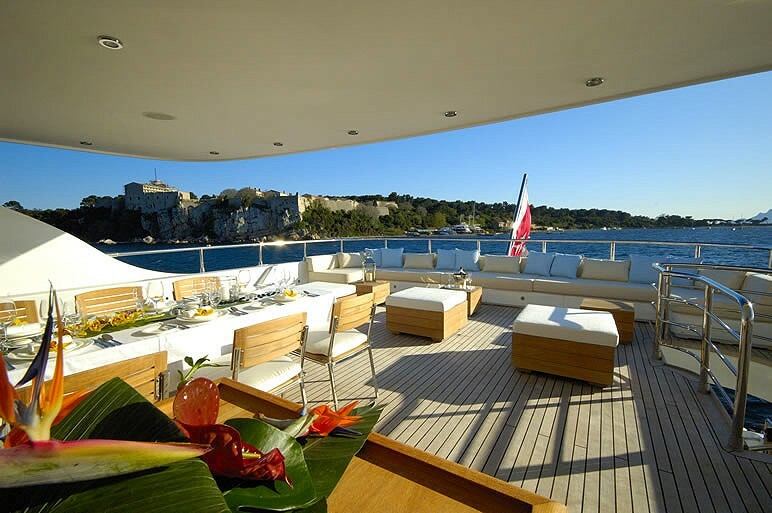 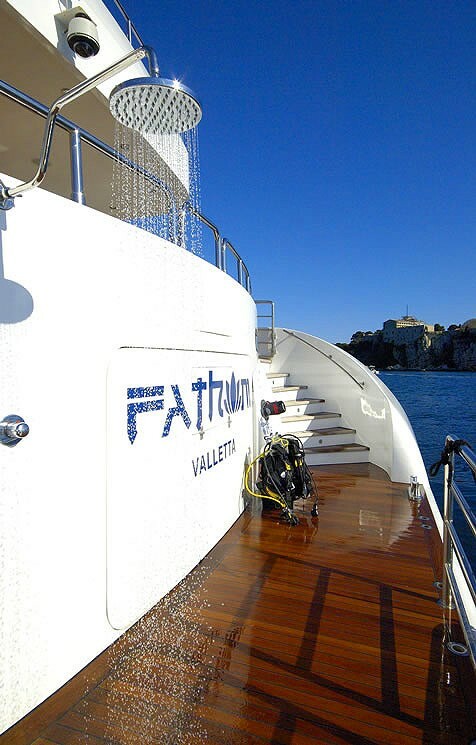 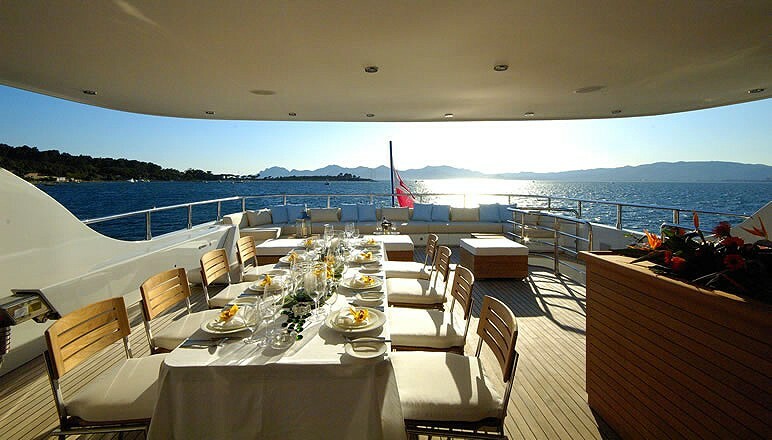 Fathom is also available for selected static charters where she can host up to 100 guests at the quay. 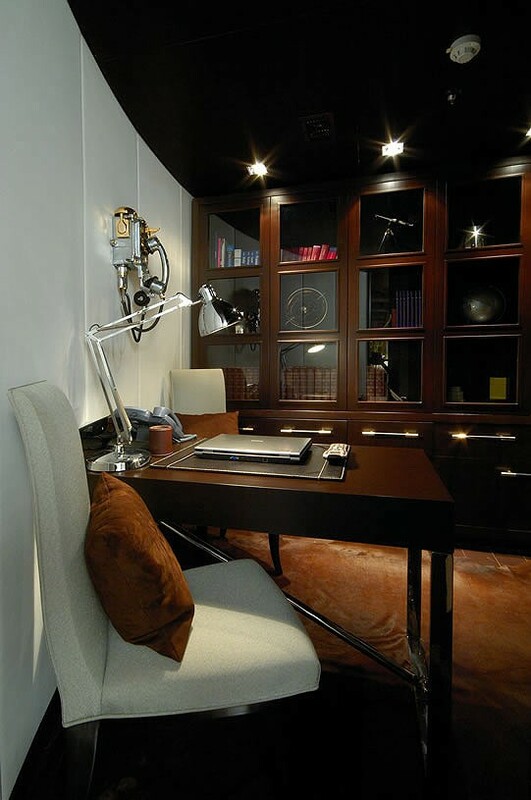 (Security deposit required). 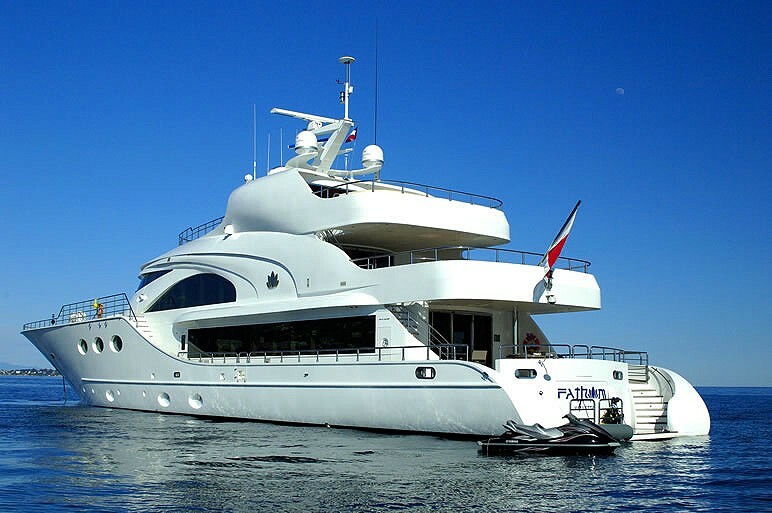 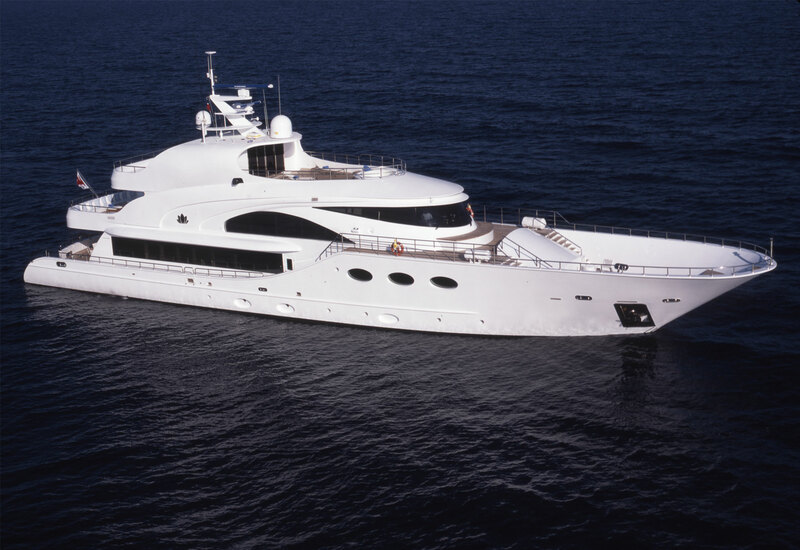 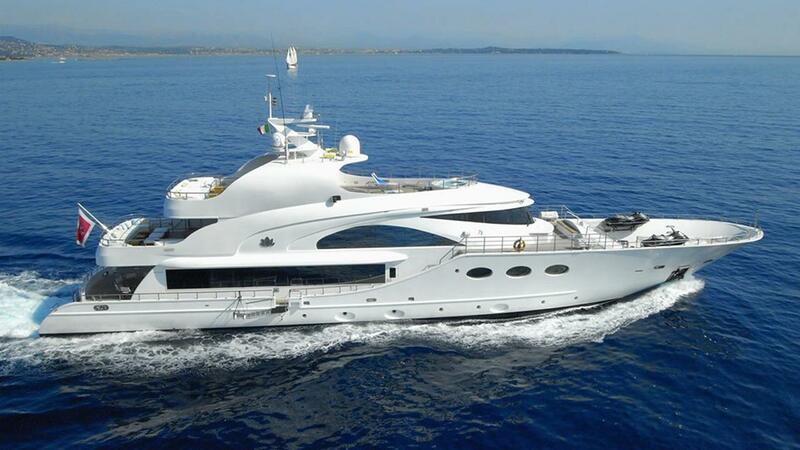 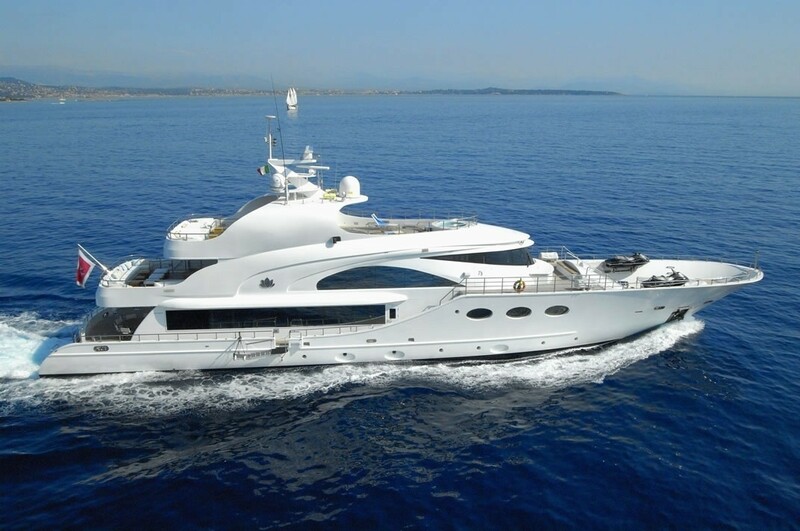 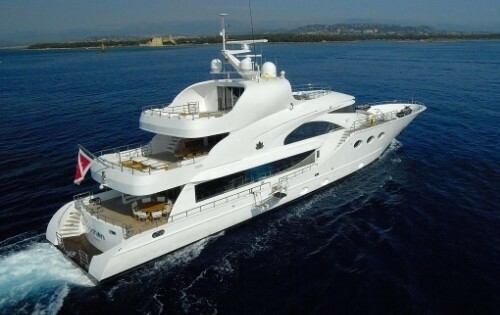 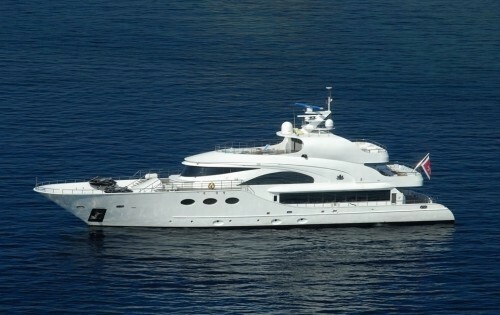 Bahamas motor yacht Fathom can accommodate 8 guests in 4 luxurious cabins. 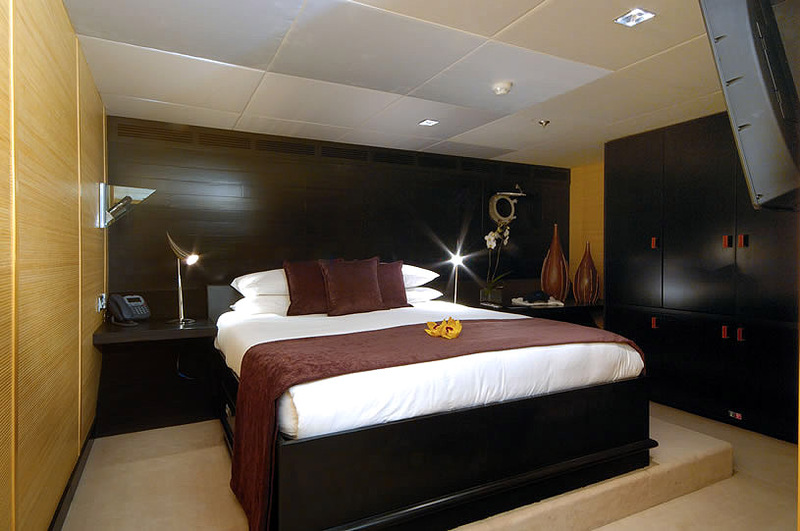 Her large full width Master suite is located on the main deck past the saloon and office. 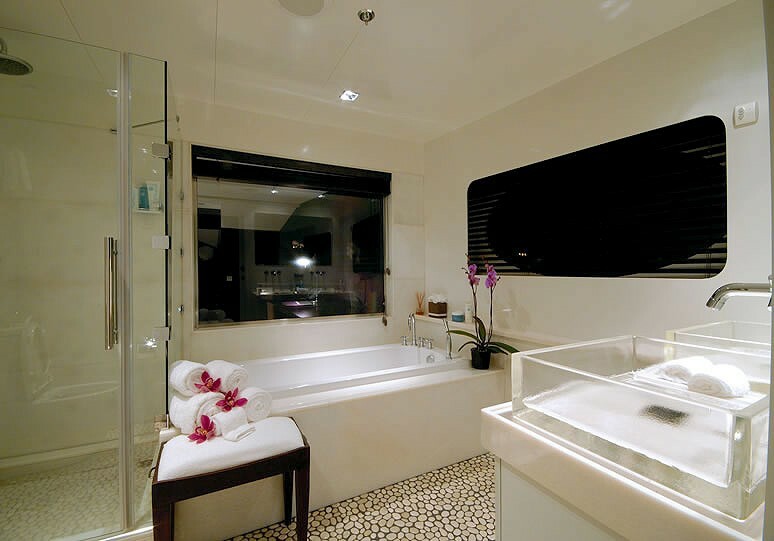 The suite offers separate dressing areas and a spa-like bathroom with marble walls, river-rock floors, and exquisite fixtures. 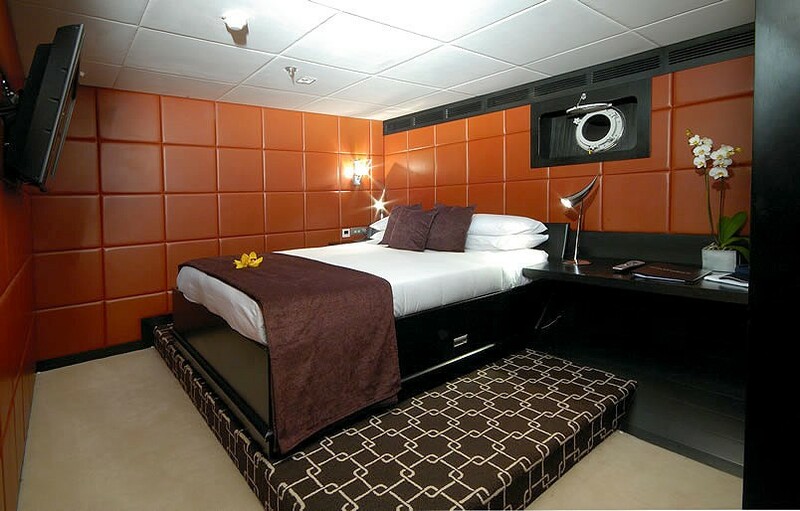 The king-sized bed has a 50’ plasma-screen TV at the foot of the bed. 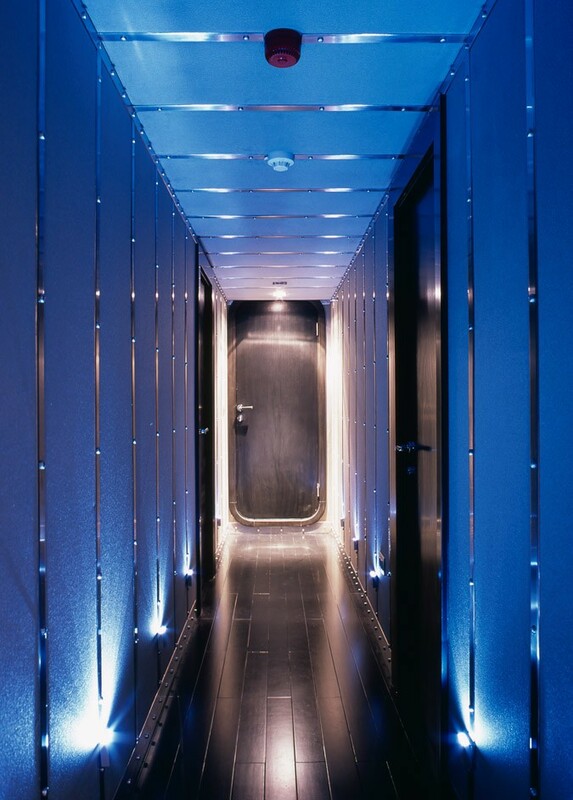 The remaining 3 guest rooms are located on the lower deck , accessed via a LED-lit hallway with metal-rib details modeled on antique dirigible construction techniques. 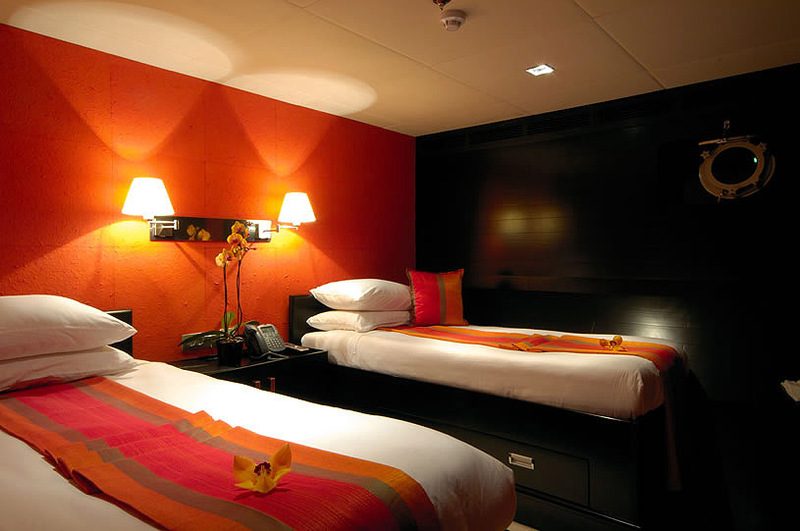 Guest accommodation features en-suite baths and inspired decors tailored with exotic materials like bamboo, leather panels, and red handmade rice wallpaper. 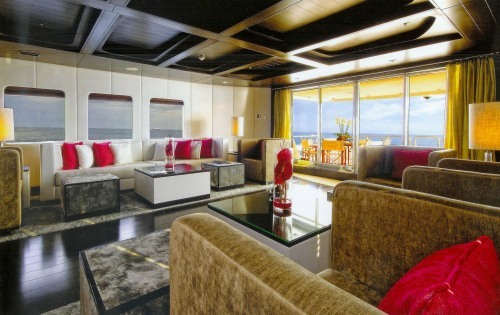 The twin cabin has a 27' flat screen television and the double cabins both enjoy 37' flat screen televisions.